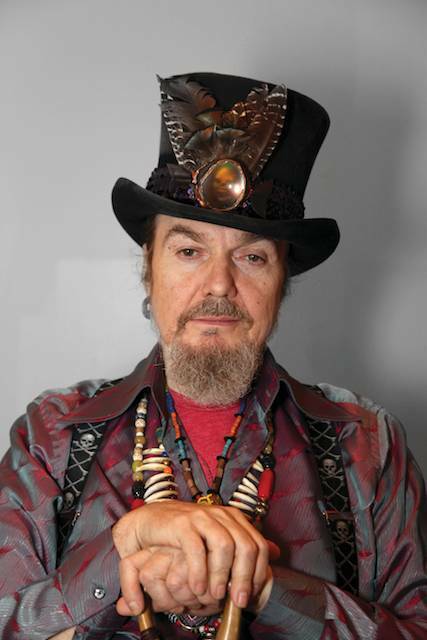 Mr. Mac Rebennack, aka Dr. John, has played just about every conceivable type of popular music over the course of the last half century. In that light it is less surprising than it may seem that a septuagenarian like himself would undertake a career change this late in life. Mac’s ability to be a stylistic chameleon throughout the decades recalls the great Ray Charles, whose music was beyond category, topping pop, country and R&B charts. Trombonist Sarah Morrow got her start in the Ray Charles orchestra and three of the new players Mac chose are also Charles alumni. He couldn’t give names at the moment as they all have other obligations that need to be completed, but we’ll know soon enough. Changing up his touring band raised more than a few eyebrows around town, yet Mac pointed out that it’s all happened before—he’s played with an awful lot of people over the years. Mac discussed the new management and his reasoning behind the change in direction. Sarah didn’t say much but their interaction was fascinating. Mac: Everything is goin’ slammin. Sarah, your website says that you co-produced an upcoming album of Mac’s. What project is that referring to? Sarah: That’s actually a project that is coming next, which is a tribute to Louis Armstrong. Mac: We’re workin’ on it right now but we have a few roadblocks in the way that, well, we’ll see what’s gonna happen. When we get to it, then we’ll get to it. I saw the shows at the Brooklyn Academy of Music last spring, an interesting run of three completely different programs. The Armstrong tribute was really different. Is that show a kind of blueprint for the album concept? Mac: It might be shifted around a little bit. We’ll take it a day at a time. You did cut that record though, or parts of it, already, right? Mac: Yes, we did do some recording. I love the version of “Saints,” that slow funeral dirge. 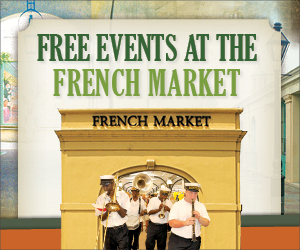 Mac: That kind of harks back to Frank Lastie and the spiritual church in New Orleans. It’s beautiful the way the Blind Boys do that with you. Mac: They’re good friends. I’ve just got off the road with them. They’re very cool. Are you rehearsing a new band now? Mac: Right now it’s a little too soon to make the announcement. I got some good players. How many pieces? What instrumentation will it be? Mac: Right now we have five pieces but there will be variations for certain gigs. Will this be your touring band or will you also record with them? Mac: Listen, the ones that can really play certain great things they might be on a session or whatever. We’ll see when we get there. Have you ever thought about how many musicians you’ve actually played with over the years? Mac: If I include studio stuff I guess it’s in the thousands of different cats but if I just include the gigging bands it’s been maybe a couple of hundred cats playing in my band over the years. So even though you changed off this last band it’s not really out of character for you to shift gears. Mac: If you don’t do that you ain’t gonna stay so fresh. You gotta keep it from gettin’ stale. Did you go through a process of auditioning managers? Mac: We must have looked at eight or ten. Maybe more. Sam [Feldman], and Mike [Gorfaine], they’re way cool. I ain’t known them that long but I know where they’re coming from about a lot of things. You know, there was times in my life I worked for a lot of people and these guys are just right. I can relate to certain things about them. Before I even hired them cats I said to them “Give me some guidance. Show me the direction, the path to take” and it came to me fast. Sarah: Word spread very quickly and people were contacting him constantly. There were a lot of people interested in working with him. Do you have your next projects lined up? Mac: I’m leaving that to [management] right now—that’s kind of a different set of petunias at the minute. When I had Louis Armstrong come to me in a dream and say “Try this stuff your way” and all of that, that was something strong to me because I had never had Louis Armstrong in a dream before. Mac: Before we ever got started on the first chunk o’ dat project. I was wondering why you chose to do an Armstrong tribute. Mac: He came to me in this dream and just said, “Hey pop, I don’t want you to do it my way, I want you to do it like you do it.” I’ll never forget that. It stuck out in my head from that minute on. Mac: Yeah, I met him at Joe Glaser’s office in New York. Joe was his manager and Joe was Dizzy Gillespie’s manager. He was also their booking agent and he was gonna work with us. He had just signed B.B. King—that was in 1967. There was a picture in Joe Glaser’s office of Louis Armstrong sitting in Bucktown on a rock and pointing his horn toward where my daddy’s shop and the Ralph Shultz Fresh Hardware store was. I asked Louis if he saw that. There was only two ways you could get there then—you either had to go through that street or another street and he said, “I went right by there.” I said, “That’s my father’s shop on the other side there.” We had a good laugh about that. You went there for all kinds of stuff, to get your brake stickers, whatever. You could get just about anything right there in Bucktown. I met him a couple of times in Joe’s office, but I never actually got to see him play live on a gig. [Your new manager] Sam Feldman said the first order of business is fulfilling previous obligations. Mac: Right now I just want to take things I can get to ’cause if I start looking at everything I’ve got to do then what I feel like doing and what I can do is gonna be a little more limited because I’m trying to put a new band together and do a lot of things at the same time. I know there’s an album of Bobby Charles material sung by Shannon McNally. Mac: I was really happy with that. That was one of the last projects Wardell [Quezergue] did and it was something. The strings he wrote for that was really special. Shannon’s gonna put that out on her own label. Another project I know of is the one with Will Porter. Mac: I’m just trying to do whatever I can do with it. I have to take everything one thing at a time for the time being. Will’s thing was actually the very last project that Wardell did. Will got the Womack Brothers together to sing backup stuff on it. As the Valentinos, they did that song “I Used to Love Her But It’s All Over Now” [sic]. I always thought that was a great song. I like the fact that Will got them guys involved. We gonna try to take it all chunks at a time. One of the things Sam Feldman mentioned is you might be doing some TV or film work. Mac: That’s one of the things I wanted to pursue. I had studied some film scoring with Harold Batiste when he was doing some kind of a movie thing with Sonny and Cher. I kind of worked it out with his chords. He really should have been there but he couldn’t go ’cause he was workin’. So I went and I learned a lot. I’ve been involved with a lot of those projects that didn’t pan out. I might write a song or something but that ain’t what I’m looking for. I wanna do something where I can score a flick. When I first heard Locked Down on the record I wasn’t sold. Then when I saw you guys play it live at the Brooklyn Academy of Music I got it. That really smoked. Mac: That’s one of the things I wanted. The Locked Down stuff, I wanted it to be fresh. Mac: It was a big influence on me. It started me thinking in different directions. First of all I think Dan is a hellified record producer, but second of all, aside from being a good guitar player, he’s got a good ear for a lot of things. I can see why he does good with the Black Keys, but I can also see why that record’s up for a Grammy for me. All of that goin’ together is stuff that’s gonna make me lock in better. All of a sudden he called me up from outta left field about the Bonnaroo thing. Sarah: From what I remember, Dan really tracked Dr. John down. That’s right, at BAM you filled out some of the set with material from the first few albums—“Craney Crow,” stuff like that. It fit perfectly with the Locked Down material. Mac: We did some stuff from a couple of the early records, we did something from the Sun, Moon & Herbs record. The “lost” album that was going to be a three record set and ended up coming out in a truncated version in 1971. Did you ever find out what your former manager Charlie Green did with the original tapes from Sun, Moon & Herbs? Mac: No, but Atlantic found some of the tapes and we’re trying to put together a reissue with some more of the material from the original sessions. Mac: I got more bootleg records out than I got legitimate records anyway. It’s a frustration. So, Mac, how are you feeling these days? Mac: Hey, you know what? I’m feeling better. I’m gonna take it a day at a time. As I’m going along. Sarah: Mac’s the boss. I have enormous respect for everything he’s done and everything he will do. The goal is to surround him with a situation that validates him and lets him be free and makes him happy. So far it looks like we’re heading in the right direction. How did you go about auditioning a new band? Sarah: A lot of thought went into it and a lot of research. It was similar to the way we approached finding a new manager. We had an enormous list to start with and with research and conversation and thought we were able to get it down to a select few and from there Mac was able to make his final decisions. Mac: There’s always gonna be that the good players always have some stuff ahead. That’s ok. We’re gonna make it work anyway. I’m pulling together some people that we need for this date and that date. Sarah: The only drawback is that the people that Mac wanted to go with are all great musicians, great people and are very well respected so they’re very busy. They all want to be committed to Dr. John and are so excited to work with him but it’s gonna take a number of months for everyone to be completely free to do all of Mac’s work. So that’s the one challenge we have going up through the next five months. Mac: That challenge might turn into some blessings. Sometimes you go through something and it turns a lesson into a blessin’. I’m just gonna be open minded about it, and be honest and roll with it ’cause I like it. If I don’t have fun I’m not gonna be able to make the people have fun. Anything is possibilities in the plan. I’m just enjoying what I’m doin’ right now and havin’ a good time doin’ it. Is there anything you haven’t done that you’d like to get done in the future? Mac: I wanna get a couple of things out of the way first. I wanna do this thing with Sarah, hopefully I get that Armstrong thing goin’ but you can’t make calls until you know everything is straight. Sarah: One of the best things about having expert managers like Mike and Sam is that they’re great at putting together a three year plan. Their goal is to find out whatever Mac wants to do and make it happen. They can make it happen. Mac deserves that. And people want that. They want more of Dr. John. You and Dan Auerbach are both Buckeyes. Sarah: Dan is a really gentle soul and a great spirit. That’s just one of those many coincidences that you find in music all the time. Here’s a perfect example. During rehearsals we found out that three of the musicians Mac chose are alumni of the Ray Charles Orchestra. It’s funny how the spirit world works in music when you’re open to it. Mac: It’s funny ‘cause Sarah played with Ray and some of the cats played with Ray. These cats got a big handle on so much of it all. Sarah: It’s a small and beautiful and exciting world and as long as we stay true to the spirit of the music and don’t let our egos get involved the ride is pretty extraordinary. Mac: Hey, if we lose the spirit… we know that the spirit of the music goes way beyond anything and the spirit kingdom is the air we breathe. So between it all if you don’t have no spirit you’re dead. Mac: But we have to know that’s right! No matter what, John, we’re just kind of early on in doin’ everything, but there’s something really kind of hip about it. I’m excited. Anything and everything happens in the world of music. It’s like something Miles [Davis] taught me a long time ago. We were sittin’ at Art Blakey’s gig and some guy asked Miles for his autograph and he chased the guy out of the club. Miles had just did the [Filles de Kilimanjaro] album and we were all sittin’ around watchin’ this and laughin’. The funniest thing was, when Miles chased the guy out he yelled at him, “I told you I ain’t giving you no signed paper.” When we all thought about it later, it was just, “That was Miles.” He was that kinda guy. People liked Miles’ spirit.There was this club where Joe Glaser used to book us in New York called Ungano’s club down in the basement. Miles used to come to that gig, Celia Cruz used to come there, tons of very famous people would come by the gig. I remember at the time Ginger Baker was Eric Clapton’s drummer and he’d come and sit in on some tunes that was in different meters but when we’d get into the tune he’d lose the meter so I had my girls just kind of tie him up and tape him up all night to keep him from playin’ but he did eventually go and learn how to play stuff in other kind of meters and keep it goin’. He went to Africa to do that, and that always made me think “Hey, there’s hope for everybody in this racket.” And I’m still callin’ this a racket. This business has been a racket since I was a part of it and I haven’t seen it change that much to call it something else.